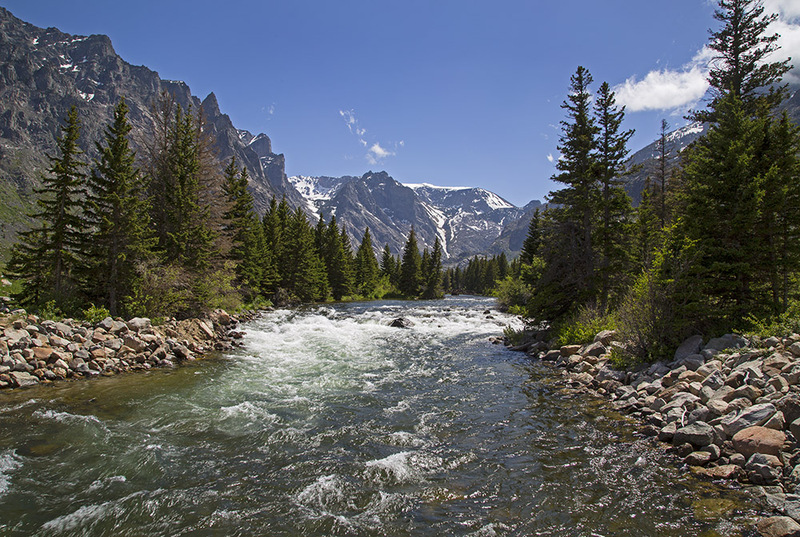 Three of America’s critical river systems – the Missouri, Columbia, and Colorado – all have origins in Greater Yellowstone. Together, they nourish the land, provide vital habitat for native fish, birds, and wildlife, and deliver water to 55 million Americans downstream. Rivers, streams, and lakes are the lifeblood of Greater Yellowstone. Life cannot exist without water, making it our most important natural resource. In the arid West, water is life. Greater Yellowstone is the headwaters of the West, with three of America’s critical river systems – the Missouri, Columbia, and Colorado – born on the high peaks of the region and supporting some 55 million people downstream. Renowned rivers such as the Yellowstone, Madison, Snake and Green provide vital habitat for some of the most productive fisheries on Earth, as well as an astounding array of birds and other wildlife. Climate change, new dams and diversions, and a host of other pressures threaten these cherished waters. Our long-term goal is to permanently protect 750 miles of Greater Yellowstone’s iconic, free-flowing rivers. For anglers, the trout streams of Greater Yellowstone are hallowed waters. Nowhere else in the world can you find four distinct cutthroat trout subspecies inhabiting one large ecosystem. Divided by major watersheds, the Yellowstone, Westslope, Bonneville, and Colorado River cutthroat trout all swim in the waters of Greater Yellowstone. Habitat degradation and fragmentation, as well as competition and hybridization with non-native trout have greatly imperiled these beautiful fish. Our goal is to restore native trout populations where possible, and ensure both wild and native trout have clean, healthy waters and habitats. A century of mining, road building, grazing and other activities has left some of Greater Yellowstone’s streams and wetlands in need of some much needed repairs. Phosphate mining in southeast Idaho has created a legacy of polluted waters and fishless streams. We are working to hold companies accountable and catalyze the cleanup of these damaged watersheds. The creation of a new mitigation fund that brings much needed financial resources to bear is a key strategy for restoring healthy conditions in this part of Greater Yellowstone. We are also working through partnerships in places like the Madison Valley and Bear River Watershed to restore streamflow and riparian areas, and improve water quality and fish passage.